Yoga is a big part of what we do at Platypus Kids, but it may not be yoga as you know it! We focus on children co-creating their lessons, building self-esteem, confidence, compassion and firm friendships as they go. With sessions for walking-to-3, 4-to-6, 7-to-10, 11+ and family yoga no two sessions are ever the same, and are planned and pitched to appeal to each group individually. Platypus Kids yoga classes are not like an adult session. There’s no formal set-up or flows, but plenty of stories to guide our practice. Why not book your child in for a free taster session so that they can judge for themselves? A healthy mind is a precious thing, and inextricably linked to our sense of wellbeing. 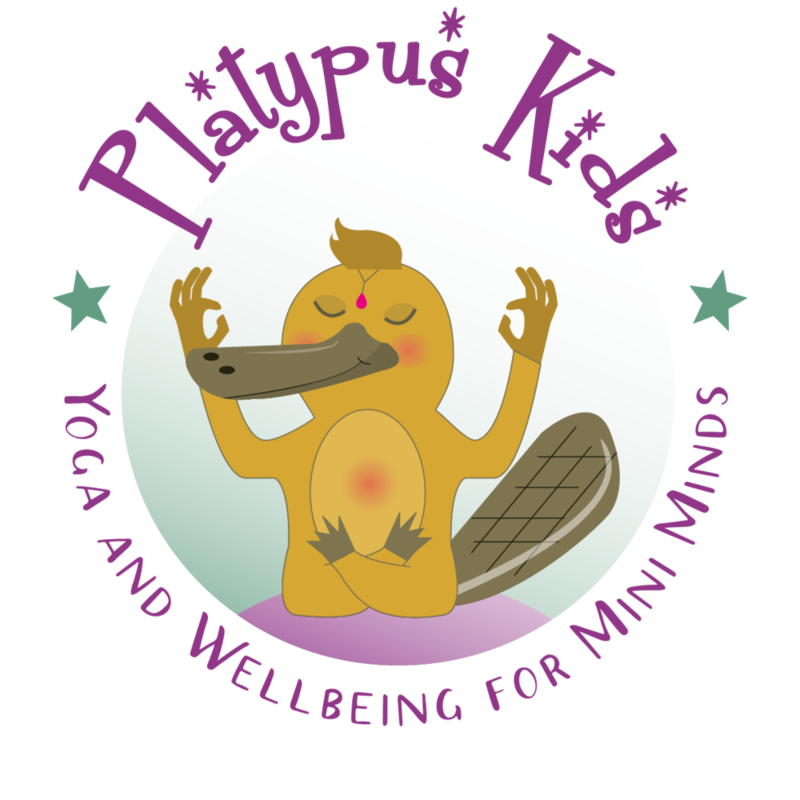 Every Platypus Kids session, whether it’s for a walking-to-3 class or a family session, will always include a mindfulness element, in an easily accessible style. On some days that may see us going through a guided meditation, but you are just as likely to find us undertaking some mindful colouring, craft, gardening or any number of activities. Through mindfulness children learn to see the connection between the mind and body. They focus on the present, enabling them to calm their minds and emotions from worries they can’t control. They become happier, more resilient, and better able to self-regulate. It should go without saying that all Platypus Kids sessions are choc-full of FUN! From the second the children (and adults in a Family session) walk through the door, to the final minute, the aim is for us to be having as much fun as possible. We all get more out of life when we’re enjoying it. It is important to try, as best as you can, to check the age group of the class that you are booking for your child. Whilst all sessions are filled with songs, dance, yoga and excitement they are slightly different depending on the age of the child. I love them all but as you can imagine the energy in a 4-6 year old class is very different to that which your 11 year old might be expecting! To find the right class for you and your child please click the button below. New classes coming soon, so don’t forget to come back and check again, or send me an email, if you can’t find what you want. As if a regular Platypus Kids class wasn’t exciting enough, throughout the year I run special one off sessions and appearances. Keep checking bock here regularly to make sure you don’t miss out! If your child prefers to learn in their own home, with just their closest friends, or on their own. Or if you’d like a private family session, contact me to find out how I can make life easier for you. Yoga parties are AWESOME! And fun…and unique! If you or your child are tired of the current party trend, why not try something a little different and throw a yoga party? I don’t send many emails, but if you do ever want to unsubscribe from my mailing list just drop me a line to let me know.